This week’s feature of 5 yummy summer salads is inspiring me to try some new recipes. I picked the first five cherry tomatoes from our tomato plants today, and I hope there will be many more. Last summer we had so many, from just three little plants. 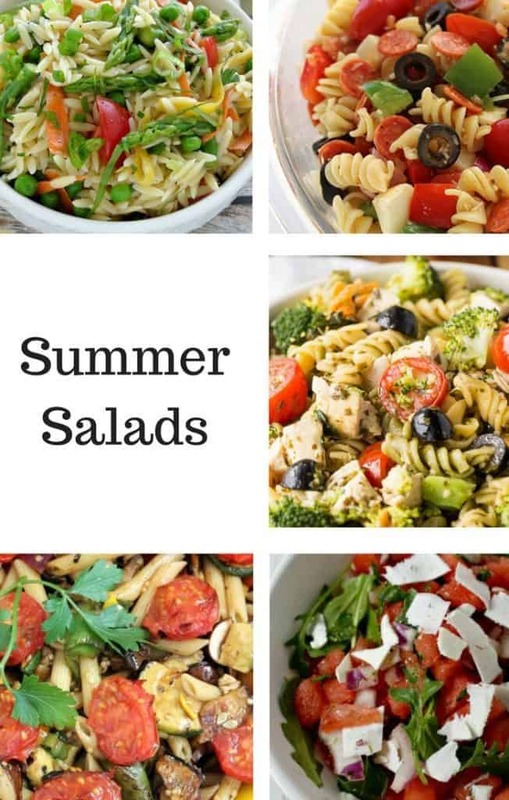 When it’s hot outside, we often don’t feel like eating warm food, so these fresh summer salads are just what we need. The watermelon salad is my favorite! THank you again for the party. Love all the yummy salads you featured! Thank you for featuring my Pizza Pasta Salad this week! All of those salad recipes look delicious – have them all pinned. Thank you for the party, Dagmar and hope your week has been a good one so far. The salads all look so yummy – don’t know which one I want to try first. Thank you for hosting.